This mushroom contains novel compounds which have been shown to stimulate nerve regeneration. Also contain cancerous cell inhibiting and immune system stimulating polysaccharides. 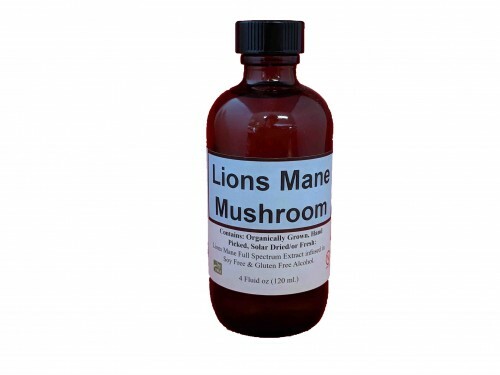 We harvest the mycelium and the flowering body to create this tincture. It is also available in a powdered form which can be added to food and drink. Also available as a powder which may be added to smoothies, oatmeal, or anything else you are eating or drinking.